In about 3 days, I am leaving to USA for participating in PASS Business Analytics conference – 2015. It is an annual event for people in analytics profession. This is the first time I am attending & speaking at the event. I am so excited for many reasons. All this excitement means, I have too much going on. But that shouldn’t leave you out . So here are a few awesome Excel links for you. Check out and learn. 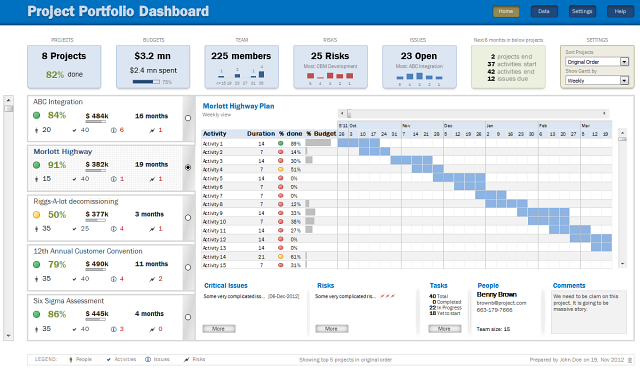 Gantt charts are a very popular way to visually depict project plans. 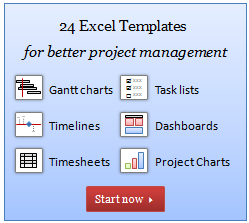 Today, let us learn how to use Excel to make quick & easy Project Plan Gantt Chart. This is what we will be creating. In this 2 part tutorial, we will learn how to design a project portfolio dashboard. Part 1 discussed user needs & design. Part 2 will show you Excel implementation. Project Portfolio Dashboard Pack is now available. First lets take a look at the finalized dashboard implementation. Continue reading to learn more & download this dashboard. 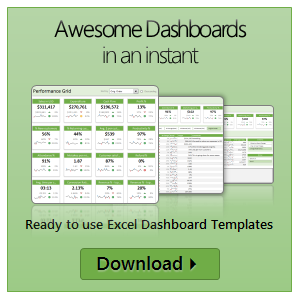 Get a Copy of Excel Project Management Templates Today! It is very usual for retailers to offer huge discounts and offers during thanksgiving, to celebrate the onset of Christmas shopping season. In that spirit, I am announcing PHD thanksgiving sale. The sale is open from now to 26th December, 2009. One Hundred Project Managers have chosen to be better, what about you? Debra at Contextures is having an Excel Fall Giveaway and you could get a free copy of Project Management Bundle by sharing your excel nightmare or excel costume idea. It is that simple. Go here. PS: the flight to Copenhagen was good, I am safe in Scandinavia, regular broadcasting should resume shortly. I have a super exciting news for all our members. During the last several weeks, I have been working on making 24 strikingly remarkable and easy to use excel templates for better project management. Finally the bundle is ready. You can get a copy of the bundle starting today.